Leading Manufacturer of round commode pan from Coimbatore. 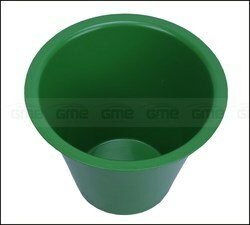 Owing to our expertise in this domain, we are providing our clients with an extreme quality range of Round Commode Pan. Our commode pans are demanded among customers owing to its fine finish. These commode pans are designed with the help of excellent quality material and latest techniques in adherence with the market norms. We offer these commode pans in diverse sizes & other related customized options as per the customer’s requirements. Looking for Commode Pan ?